One more Team finishes the battle! Their blog and their report can be found HERE. 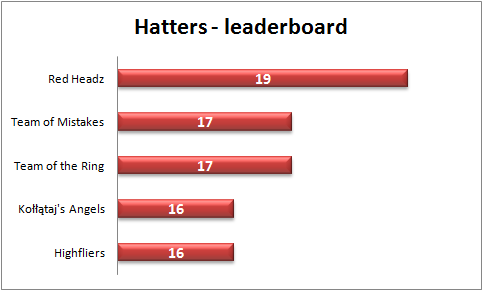 The Magic Hats belong to you now - in the near future each of you will receive one. At the moment you need to enchant them so that they can serve you next school year. You will need to tell me how and when you would like the Hats to serve you. The Hats will be informed next. They will assume one of your wishes, but they can also reject them if they see any negative consequences for you in the future. Alternatively, they can modify them to suit you better. Remember that the Hats will have influence on your school teachers only. All Hats will have the same power, which means that each of you will also have the same power, too, but you will be able to exercise this power individually. You will need to wear your Hat while exercising this special power, without your Hat you will be powerless. Any ideas on HOW and WHEN the Hats are to serve you? Post your suggestions on THIS PADLET. Each of you needs to post at least one idea. This is a brainstorming activity so do not be shy. Even if your idea will not be taken, it can inspire somebody else. You will brainstorm your ideas till 18th May. On 19th May you will vote on 3 top ideas that will be presented to the Magic Hats. We will need to wait a bit for their decision next. If you have any further questions, write them HERE or write me an email. I will answer your questions as soon as possible. OK, that would be all for now. I have great news: we know the finalists in the battle with Grifftonn. This time the Teams explored their rights – as matura takers and as citizens. Interestingly, they came into contact with the representatives of the Ministry of Education (by email) and with one deputy (in person). 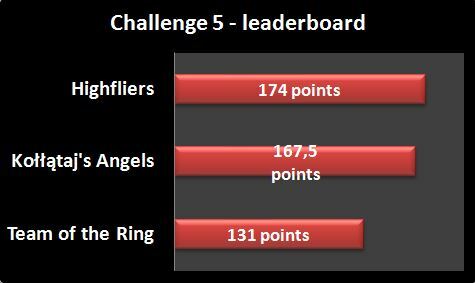 If you want to know more about how the Teams did in this challenge (task description is HERE), have a look at their blogs and online reports. 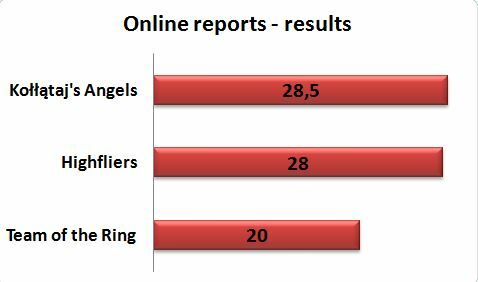 Kołłątaj's Angels, bravo! You have also reached the final. Grifftonn is disabled now and both Teams are in the Hall of Hats. I am so happy that the Magic Hats can serve the Teams! All they need to do is to enchant them. ​We will know the power of the Hats in June. The columns written by the contestants are fantastic! This time all teams chose to write literary texts (columns) about Warsaw murals. You can find the task HERE. It seems that we have a new leader! Congratulations, Highfliers! Well done!!! You have managed to disable yet another Grifftonn's head and there is only one head left. Only one more head to fight! The chance for you to become the owners of the Magic Hats is so real! You are also very, very smart now so you will be able open the heaviest door in my Smart Castle and to proceed with the final challenge. Mind you, this one will be the toughest of all the challenges. 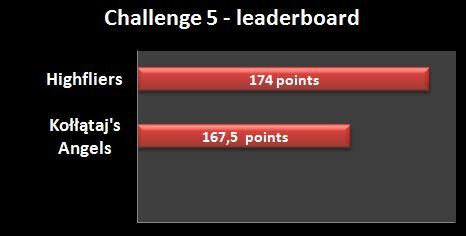 It has been a really tough challenge! The maths task is described HERE. 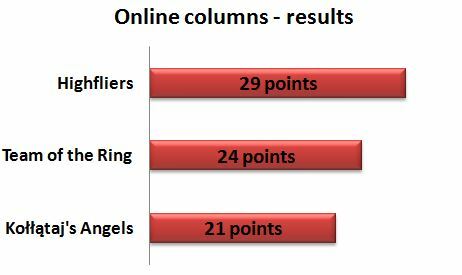 Kołłątaj's Angels are still the leaders!!! Bravo!!! I must admit that the task was very hard, and it was made even more difficult by the school winter break. But three Teams managed to get organized and - despite great problems - they have completed everything on time. They were incredibly well-organised and determined! For this reason Kołłątaj Group gets 10 extra points. What is more, all Teams have recently met to help the Teams that are still fighting. They shared their experience and discussed some solutions. I would like to award this by further 10 points for the whole Group. Well done, Kołłątaj Group! You have grown smarter, displayed of acts of extraordinary kindness and determination, which means you are definitely ready for the next challenge. 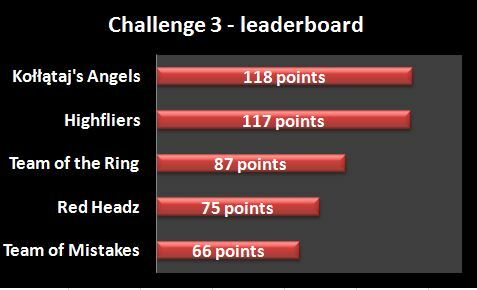 All groups have completed Challenge 2. This time each team prepared a comic strip related to a biology problem. Teams’ projects can be viewed on their blogs. 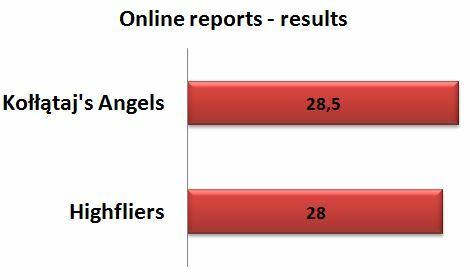 Kołłątaj’s Angels are still in the lead! Congratulations! Kołłątaj’s Group has done very well in this round – this time they have managed to disable the head that specialises in biology. Good job! Additionally, they have got a lot smarter - they have broadened their knowledge on important current issues, learned how to use new digital tools, got more teamwork experience. As a result, their level of smartness has gone further up and amounts to 378 points. However, I have decided to add extra 10 points (out of 10) for exceptional initiative exhibited by Highfliers - see their blog for details: https://highflierssite.wordpress.com/. Bravo, Highfliers!!! They are much more powerful and ready to enter the next room. 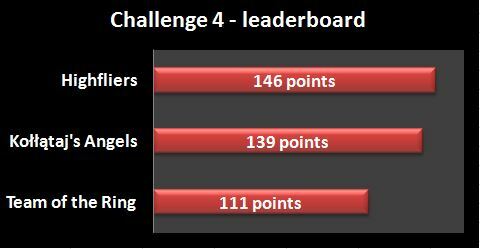 ​ You are the winners of Challenge nr 1!!! ​​All in all, great job, Kołłątaj Group! You have successfully managed to disable the head that is an expert on history. ​What is more, it has become evident that you have learned a lot in this round. In particular, you have developed your knowledge about the history of Kraków, learned how to use digital tools and got some teamwork experience. Consequently, the level of your smartness has significantly increased! On 1st December a group of contestants from XXI Liceum Ogólnokształcące (upper-secondary school) im. Hugona Kołłątaja came to Cracow. They have started the quest in order to win the Magic Hats. Their first challenge is related to history (see the details HERE). Watch the FILM to see how they did. Kołłątaj Group’s total level of smartness after the game was 85. However, I decided to add extra 10 points (out of 10) for the smart acts the Group exhibited throughout the whole game. 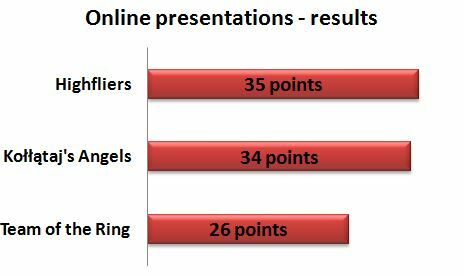 These points were awarded for unusual perseverance in doing the tasks (in such dreadful weather!!!) and for extraordinary interpersonal skills, which were observed and highly praised by University teachers, students (Polish and Erasmus), and even staff on the train. I have informed Grifftonn of Kołłątaj’s success and I am pleased to inform you that it was a real blow to this mean monstrosity. Congratulations Kołłątaj Group! You have managed to weaken Grifftonn a bit!